Create your brand's slogan with the help of this guide. We don't mean to offend you -- this is just an example of a great slogan that also bears the truth of the power of succinctness in advertising. It's incredibly difficult to be succinct, and it's especially difficult to express a complex emotional concept in just a couple of words -- which is exactly what slogans and taglines do. That's why we have a lot of respect for the brands that have done it right. The ones that have figured out how to convey their value proposition to their buyer persona in just one, short sentence -- and a quippy one, at that. So if you're looking to get a little slogan inspiration of your own, take a look at some of our favorite company slogans and taglines from both past and present. But before we get into specific examples, let's quickly go over what a slogan is, how it differs from a tagline, and what makes these branded one-liners stand out. In business, a slogan is "a catchphrase or small group of words that are combined in a special way to identify a product or company," according to Entrepreneur.com's small business encyclopedia. In many ways, they're like mini-mission statements. Companies have slogans for the same reason they have logos: advertising. While logos are visual representations of a brand, slogans are audible representations of a brand. Both formats grab consumers' attention more readily than the name a company or product might. Plus, they're simpler to understand and remember. The goal? To leave a key brand message in consumers' minds so that, if they remember nothing else from an advertisement, they'll remember the slogan. As we mentioned in Entrepreneur.com's definition above, a slogan identifies a product or company. So does a tagline, for that matter. Where these terms differ is in how they position a company in its industry. A slogan encompasses a company's mission, what it stands for, and even how it's helping customers in the individual campaigns the company might run. Slogans can therefore be longer than taglines, as you'll see in the list below. Your organization doesn't have to develop both a slogan and a tagline -- it might succeed with just a solid, recognizable tagline. But as you develop new products and identify new types of customers, you might find your brand launching a campaign that is primed for its own slogan. 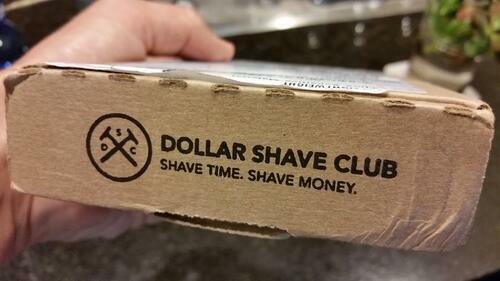 Dollar Shave Club: "Shave Time. Shave Money." De Beers: "A Diamond Is Forever"
Verizon: "Can You Hear Me Now? Good." The U.S. Marine Corps: "Semper Fi"
Ronseal: "It Does Exactly What It Says on the Tin." 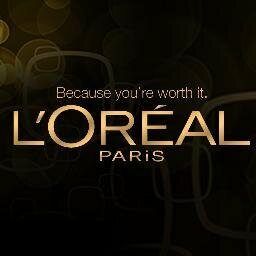 The Mosaic Company: "We Help the World Grow the Food It Needs"
Pitney Bowes: "We Power Transactions That Drive Commerce"
Nike: "There Is No Finish Line"
L'Oréal Paris: "Because You're Worth It." California Milk Processor Board: "Got Milk?" 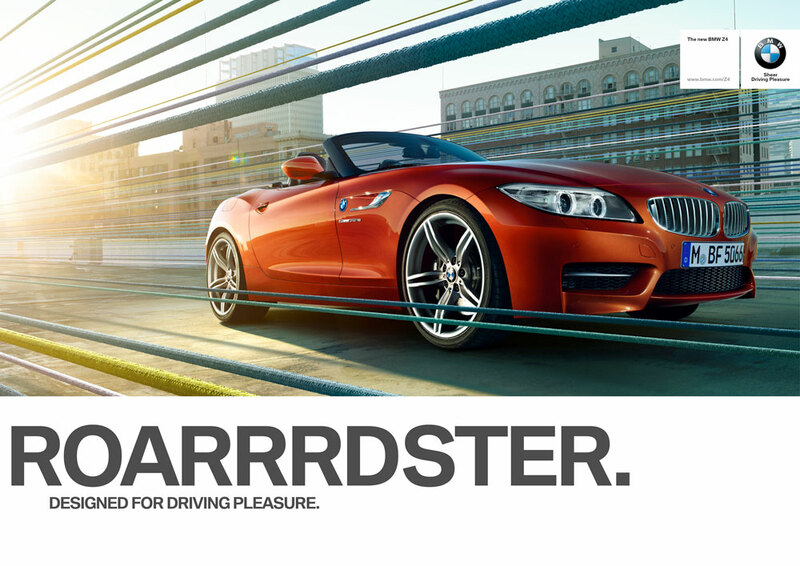 BMW: "Designed for Driving Pleasure." Bounty: "The Quicker Picker Upper"
Lay's: "Betcha Can't Eat Just One." Dunkin' Donuts: "America Runs on Dunkin'"
The New York Times: "All the News That's Fit to Print"
General Electric: "Imagination at Work." Maybelline: "Maybe she's born with it. Maybe it's Maybelline." The U.S. Marine Corps: "The Few. The Proud. The Marines"
1. Dollar Shave Club: "Shave Time. Shave Money." The folks at Dollar Shave Club have made their way onto quite a few of our lists here on the blog, and it's safe to say that when it comes to marketing and advertising, this brand's team knows what it's doing. And its slogan -- "Shave Time. Shave Money." -- is an excellent reflection of their expertise. 2. MasterCard: "There are some things money can't buy. For everything else, there's MasterCard." MasterCard's two-sentence slogan was created in 1997 as a part of an award-winning advertising campaign that ran in 98 countries and in 46 languages. The very first iteration of the campaign was a TV commercial that aired in 1997: "A dad takes his son to a baseball game and pays for a hot dog and a drink, but the conversation between the two is priceless," writes Avi Dan for Forbes. "In a sense, 'Priceless' became a viral, social campaign years before there was a social media," Dan writes. Today, "Priceless" is widely considered MasterCard's tagline -- borne out of the longer mission-focused slogan stated above. One key to this campaign's success? Each commercial elicits an emotional response from the audience. That first TV commercial might remind you of sports games you went to with your dad, for example. 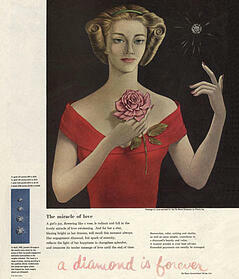 Each advertisement attempted to trigger a different memory or feeling. "You have to create a cultural phenomenon and then constantly nurture it to keep it fresh," MasterCard CMO Raja Rajamannar told Dan. And nostalgia marketing like that can be a powerful tool. 3. 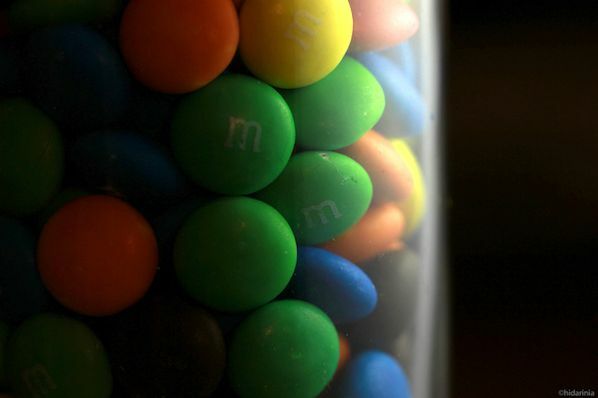 M&M: "Melts in Your Mouth, Not in Your Hands"
Here's one brand that didn't need much time before realizing its core value proposition. At the end of the day, chocolate is chocolate. How can one piece of chocolate truly stand out from another? By bringing in the convenience factor, of course. This particular example highlights the importance of finding something that makes your brand different from the others -- in this case, the hard shell that keeps chocolate from melting all over you. 4. 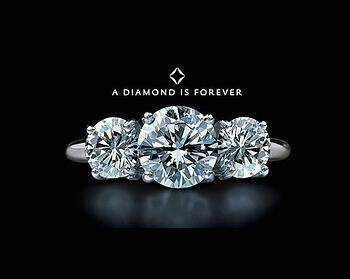 De Beers: "A Diamond Is Forever"
Diamonds aren't worth much inherently. In fact, a diamond is worth at least 50% less than you paid for it the moment you left the jewelry store. So how did they become the symbol of wealth, power, and romance they are in America today? It was all because of a brilliant, multifaceted marketing strategy designed and executed by ad agency N.W. Ayer in the early 1900s for their client, De Beers. The four, iconic words "A Diamond is Forever" have appeared in every single De Beers advertisement since 1948, and AdAge named it the best slogan of the century in 1999. It perfectly captures the sentiment De Beers was going for: that a diamond, like your relationship, is eternal. It also helped discourage people from ever reselling their diamonds. (Mass re-selling would disrupt the market and reveal the alarmingly low intrinsic value of the stones themselves.) Brilliant. 5. 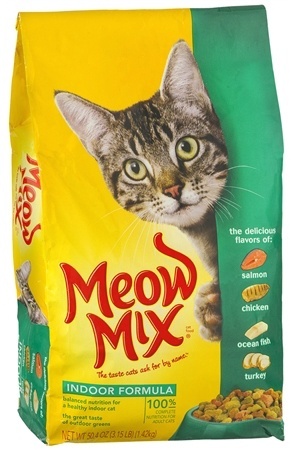 Meow Mix: "Tastes So Good, Cats Ask for It by Name"
Meow meow meow meow ... who remembers this catchy tune sung by cats, for cats, in Meow Mix's television commercials? The brand released a simple but telling slogan: "Tastes So Good, Cats Ask For It By Name." 6. 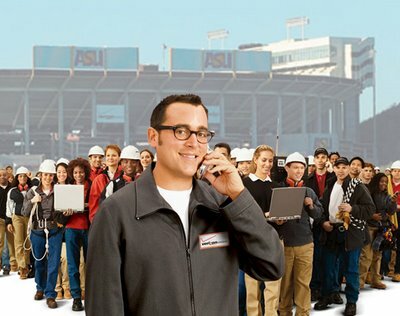 Verizon: "Can You Hear Me Now? Good." Here's another brand that took its time coming up with something that truly resonated with its audience. This slogan was created in 2002 under the umbrella of the tagline, "We never stop working for you." 7. The U.S. Marine Corps: "Semper Fi"
Semper Fi, short for "Semper Fidelis," is Latin for "always faithful" or "always loyal." The saying has long been the official motto of the U.S. Marine Corps and is used to represent them in public appearances and the Marines' official seal. What makes "Semper Fi" a great slogan for the Marines? It reveals the Marines' defining characteristic in the armed forces -- faithfulness and loyalty. It's also a memorable proverb that explains why this organization can be counted on by the public. 8. 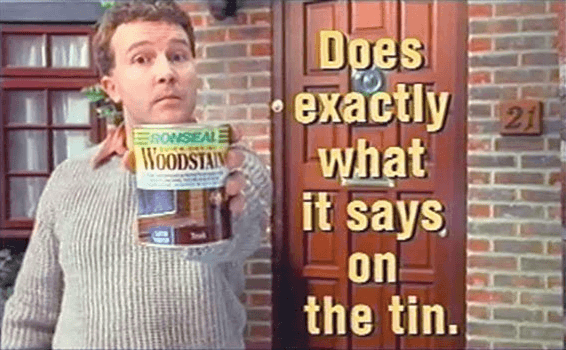 Ronseal: "It Does Exactly What It Says on the Tin." Ronseal's slogan doesn't really go above and beyond. It doesn't make lofty promises to its customers. It simply endorses a functional product. So why is this slogan so catchy? Because its lack of volume actually speaks volumes to its audience. Too many companies try to break through the noise of their competitors by being so loud and ambitious, they forget what they stood for in the first place. Ronseal saw true value in basic reliability, and founded a slogan that allowed the company to stay right where its customers like it. 9. 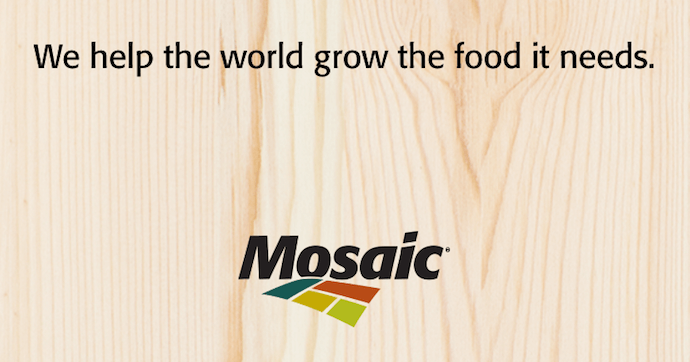 The Mosaic Company: "We Help the World Grow the Food It Needs"
The Mosaic Company's slogan also happens to be its mission statement, which guarantees that this fertilizer maker's brand strategy aligns with the company's main interests. Something all slogans should strive to do is look past the needs of the company, or even its users, and describe how the product or service helps the community. In this way, "We Help the World Grow the Food It Needs" is a heavy slogan that expresses not just what The Mosaic Company wants for its customers, but also what it wants for the public. 10. Pitney Bowes: "We Power Transactions That Drive Commerce"
Pitney Bowes, the mailing and shipping software provider, has a slogan that follows a similar theme as The Mosaic Company in the section above: It's focused not on the end user, but on the industry. Pitney Bowes' slogan shows us that its products don't just help businesses track and deliver merchandise -- they make the entire ecommerce community more efficient. It's a good strategy, considering the alternative. How lame would the company's slogan be if it were "We Power Transactions That Serve Our Clients' Bottom Line"? 11. Nike: "There Is No Finish Line"
This isn't the slogan that Nike is best known for (keep reading -- the one you're thinking of is actually Nike's tagline). But, in keeping with the purpose of a slogan, the company has used this thoughtful line to represent several individual campaigns that position Nike as the athlete's partner in the ongoing process of getting better at their sport. "There Is No Finish Line" currently headlines the Nike+ Run Club, and began in 1977 as a print ad designed by John Brown & Partners. The slogan essentially means there will always be another hill to climb, another game to play, another workout to finish, and another race to run. It's a unique message in a world of sports that's normally interested in helping you succeed, rather than reminding you to keep going. But that's what Nike is all about: the next challenge, and the one after that, and the one after that. "There Is No Finish Line" most recently made an appearance in Nike's #Breaking2 project of 2017. In this project, the company hosted some of its professional distance runners in an attempt to break the two-hour marathon. See the video on the campaign below. 12. Nike: "Just Do It." Now, for the more well-known Nike message. "Just Do It" hovers over every product and event Nike creates or sponsors, and that's exactly what makes it the company's official tagline. It didn't take long for Nike's message to resonate. The brand became more than just athletic apparel -- it began to embody a state of mind. It encourages you to think that you don't have to be an athlete to be in shape or tackle an obstacle. If you want to do it, just do it. That's all it takes. This tagline was first released in the Apple commercial called "Here's to the Crazy Ones, Think Different" -- a tribute to all the time-honored visionaries who challenged the status quo and changed the world. The phrase itself is a bold nod to IBM's campaign "Think IBM," which was used at the time to advertise its ThinkPad. 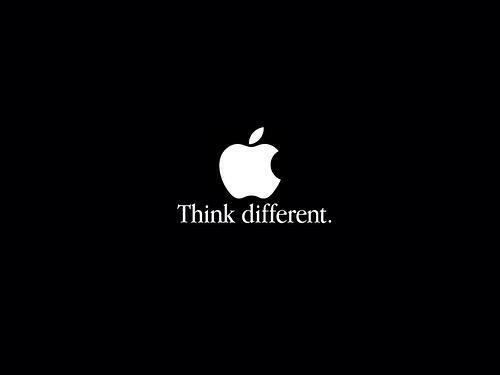 Soon after, the tagline "Think Different" accompanied Apple advertisements all over the place, even though Apple hadn't released any significant new products at the time. All of a sudden, people began to realize that Apple wasn't just any old computer; it was so powerful and so simple to use that it made the average computer user feel innovative and tech-savvy. According to Forbes, Apple's stock price tripled within a year of the commercial's release. Although the tagline has been since retired, many Apple users still feel a sense of entitlement for being among those who "think different." 14. L'Oréal: "Because You're Worth It." Who doesn't want to feel like they're worth it? The folks at L'Oréal worked with the theory that women wear makeup in order to make themselves appear "beautiful" so they feel desirable, wanted, and worth it. The tagline isn't about the product -- it's about the image the product can get you. This message allowed L'Oréal to push its brand further than just utility so as to give the entire concept of makeup a much more powerful message. 15. California Milk Processor Board: "Got Milk?" 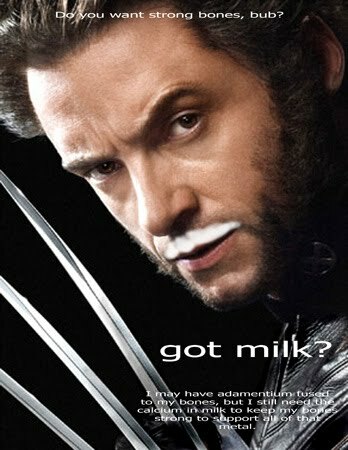 While most people are familiar with the "Got Milk?" campaign, not everyone remembers that it was launched by the California Milk Processor Board (CMPB). What's interesting about this campaign is that it was initially launched to combat the rapid increase in fast food and soft beverages: The CMPB wanted people to revert to milk as their drink of choice in order to sustain a healthier life. The campaign was meant to bring some life to a "boring" product, ad executives told TIME Magazine. The simple words "Got Milk?" scribbled above celebrities, animals, and children with milk mustaches, which ran from 2003 until 2014 -- making this campaign one of the longest-lasting ever. The CMPB wasn't determined to make its brand known with this one -- it was determined to infiltrate the idea of drinking milk across the nation. And these two simple words sure as heck did. 16. BMW: "Designed for Driving Pleasure." BMW sells cars all over the world, but in North America, it was known for a long time by its tagline, "The Ultimate Driving Machine." This phrase was created in the 1970s by a relatively unknown ad agency named Ammirati & Puris and was, according to BMW's blog, directed at Baby Boomers who were "out of college, making money and ready to spend their hard earned dollars. What better way to reflect your success than on a premium automobile?" The newer tagline, "Designed for Driving Pleasure," is intended to reinforce the message that its cars' biggest selling point is that they are performance vehicles that are thrilling to drive. That message is an emotional one, and one that consumers can buy into to pay the high price point. 17. Tesco: "Every Little Helps"
"Every little helps" is the kind of catchy tagline that can make sense in many different contexts -- and it's flexible enough to fit in with any one of Tesco's messages. It can refer to value, quality, service, and even environmental responsibility -- which the company practices by addressing the impacts of their operations and supply chain. It's also, as Naresh Ramchandani wrote for The Guardian, "perhaps the most ingeniously modest" slogan or tagline ever written. Tesco markets itself as a brand for the people, and a flexible, modest far-reaching slogan like this one reflects that beautifully. 18. Bounty: "The Quicker Picker Upper"
Bounty paper towels, made by Procter & Gamble, has used its catchy tagline "The Quicker Picker Upper" for almost 50 years now. If it sounds like one of those sing-songy play on words you learned as a kid, that's because it is one: The tagline uses what's called consonance -- a poetic device characterized by the repetition of the same consonant two or more times in short succession (think: "pitter patter"). 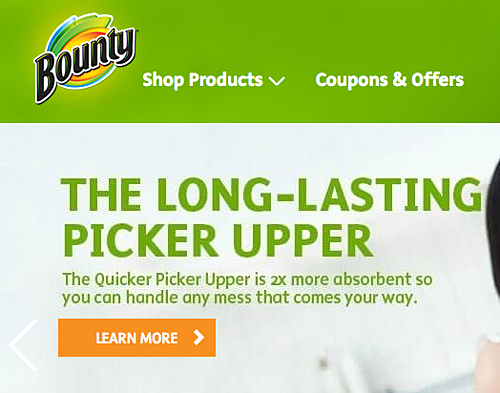 Over the years, Bounty has moved away from this tagline in full, replacing "Quicker" with other adjectives, depending on the brand's current marketing campaign -- like "The Quilted Picker Upper" and "The Clean Picker Upper." At the same time, the brand's main web address went from quickerpickerupper.com to bountytowels.com. But although the brand is branching out into other campaigns, they've kept the theme of their original, catchy tagline. 19. Lay's: "Betcha Can't Eat Just One." Seriously, who here has ever had just one chip? While this tagline might stand true for other snack companies, Lay's was clever to pick up on it straight away. The company tapped into our truly human incapability to ignore crispy, salty goodness when it's staring us in the face. Carbs, what a tangled web you weave. But seriously, notice how the emphasis isn't on the taste of the product. There are plenty of other delicious chips out there. 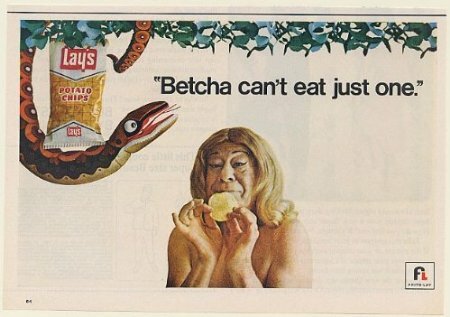 But what Lay's was able to bring forth with its tagline is that totally human, uncontrollable nature of snacking until the cows come home. "Vorsprung durch technik" has been Audi's main German tagline everywhere in the world since 1971 (except for the United States, where the slogan is "Truth in Engineering"). While the phrase has been translated in several ways, the online dictionary LEO translates "Vorsprung" as "advance" or "lead" as in "distance, amount by which someone is ahead in a competition." Audi roughly translates it as: "Advancement through technology." 21. Dunkin' Donuts: "America Runs on Dunkin'"
In April 2006, Dunkin' Donuts launched the most significant repositioning effort in the company's history by unveiling a brand new, multi-million dollar advertising campaign under the tagline "America Runs on Dunkin." The campaign revolves around Dunkin' Donuts coffee keeping busy Americans fueled while they are on the go. "The new campaign is a fun and often quirky celebration of life, showing Americans embracing their work, their play and everything in between -- accompanied every step of the way by Dunkin' Donuts," read the official press release from the campaign's official launch. Ten years later, what the folks at Dunkin Donuts' realized they were missing was their celebration of and honoring their actual customers. That's why, in 2016, they launched the "Keep On" campaign, which they call their modern interpretation of the ten-year tagline. 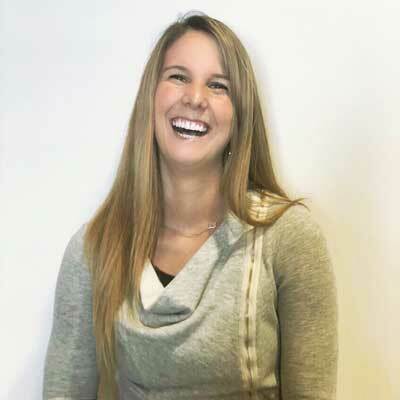 "It's the idea that we're your partner in crime, or we're like your wingman, your buddy in your daily struggle and we give you the positive energy through both food and beverage but also emotionally, we believe in you and we believe in the consumer," said Chris D'Amico, SVP and Group Creative Director at Hill Holiday. 22. McDonald's: "I'm Lovin' It"
The "I'm Lovin' It" campaign was launched way back in 2003 and still stands strong today. This is a great example of a tagline that resonates with the brand's target audience. McDonald's food might not be your healthiest choice, but being healthy isn't the benefit McDonald's is promising -- it's that you'll love the taste and the convenience. 23. The New York Times: "All the News That's Fit to Print"
This one is my personal favorite. The tagline was created in the late 1890s as a movement of opposition against other news publications printing lurid journalism. The New York Times didn't stand for sensationalism. Instead, it focused on important facts and stories that would educate its audience. It literally deemed its content all the real "news fit to print." This helped the paper become more than just a news outlet, but a company that paved the way for credible news. The company didn't force a tagline upon people when it first was founded, but rather, it created one in a time where it was needed most. 24. General Electric: "Imagination at Work." You may remember General Electric's former tagline, "We Bring Good Things to Life," which was initiated in 1979. Although this tagline was well-known and well-received, the new tagline -- "Imagination at Work" -- shows how a company's internal culture can revolutionize how they see their own brand. "'Imagination at Work' began as an internal theme at GE," recalled Tim McCleary, GE's manager of corporate identity. When Jeff Immelt became CEO of GE in 2001, he announced that his goal was to reconnect with GE's roots as a company defined by innovation. This culture and theme resulted in a rebranding with the new tagline "Imagination at Work," which embodies the idea that imagination inspires the human initiative to thrive at what we do. 25. State Farm: "Like a Good Neighbor, State Farm is There"
The insurance company State Farm has a number of taglines, including "Get to a better State" and "No one serves you better than State Farm." Recently, the company updated its tagline to "We're here to help life go right." But State Farm's most famous tagline is the jingle, "Like a good neighbor, State Farm is there," which you're likely familiar with if you live in the United States and watch television. These words emphasize State Farm's "community-first" value proposition -- which sets it apart from the huge, bureaucratic feel of most insurance companies. And it quickly establishes a close relationship with the consumer. Often, customers need insurance when they least expect it -- and in those situations, State Farm is responding in friendly, neighborly language. 26. Maybelline: "Maybe she's born with it. Maybe it's Maybelline." Can you sing this jingle in your head? Maybelline's former tagline, created in the 1990s, is one of the most famous in the world. It makes you think of glossy magazine pages featuring strong, beautiful women with long lashes staring straight down the lens. It's that confidence that Maybelline's makeup brand is all about -- specifically, the transformation into a confident woman through makeup. Maybelline changed its tagline to "Make IT Happen" in February 2016, inspiring women to "express their beauty in their own way." Despite this change, the former tagline remains powerful and ubiquitous, especially among the many generations that grew up with it. 27. The U.S. Marine Corps: "The Few. The Proud. The Marines." While "Semper Fi" is one the the U.S. Marine Corps' most coveted slogans (or, more officially, mottos), it has had a handful of top-notch recruiting taglines over the decades as well. These include "First to fight" starting in World War I, to "We're looking for a few good men" from the 1980s. However, we'd argue that "The Few. The Proud. The Marines." is among the best organization taglines out there. This tagline "underscores the high caliber of those who join and serve their country as Marines," said Maj. Gen. Richard T. Tryon, former commanding general of Marine Corps Recruiting Command. In 2007, it even earned a spot on Madison Avenue's Advertising Walk of Fame.